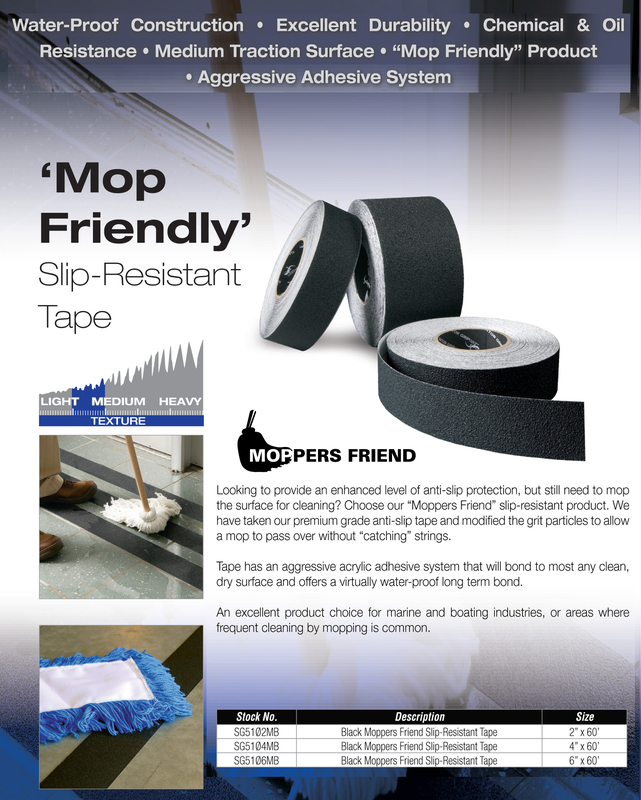 Black, Grey or White Mop Friendly Non Skid Tape. Premium grade non skid tape with a modified abrasive creating a surface that allows a mop to pass over without catching strings. 60 grit abrasive with peel off liner. To apply simply peel and press firmly onto a smooth, dry, clean surface.